This poor little quilt has been waiting months for her glamour shoot. 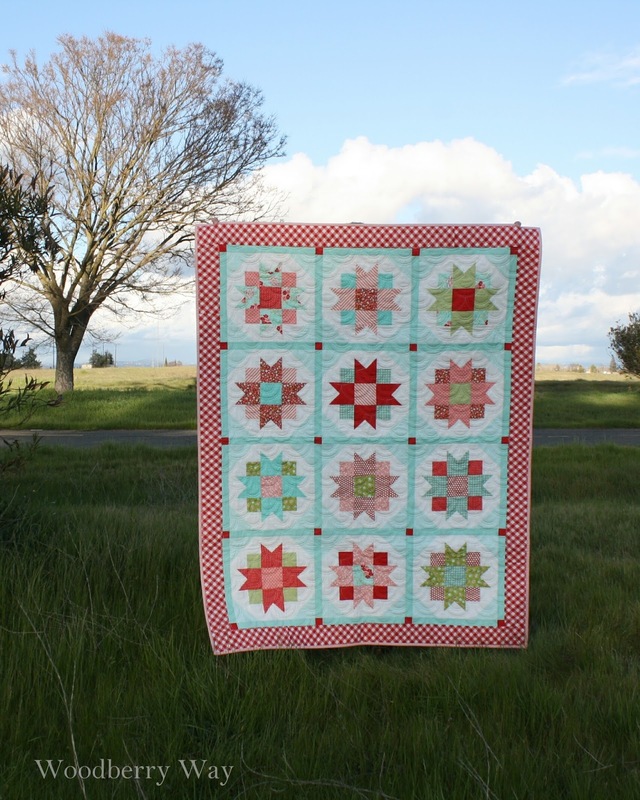 This is a pattern available in my shop called "Sweet Marie". 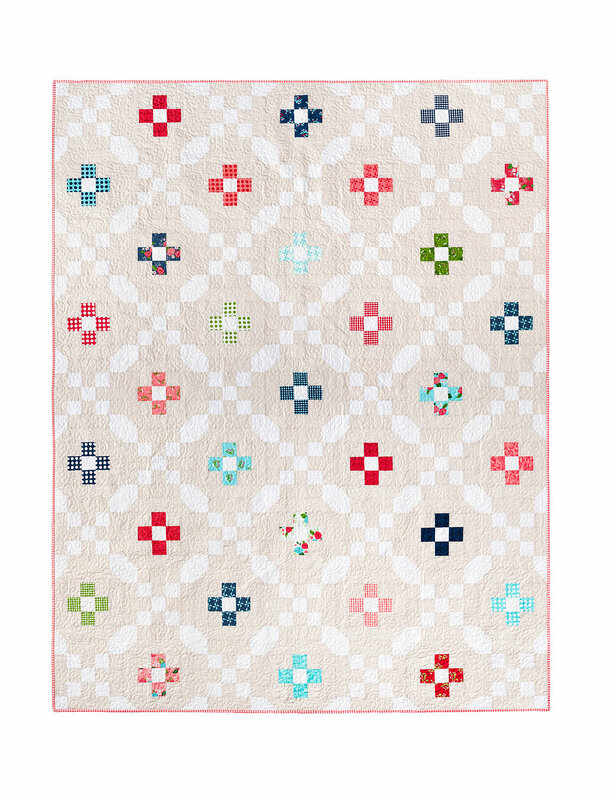 I've started naming quilt patterns after the little girls I never had, ha :) And if I do have one someday, she is pretty much going to be set in the quilt department! 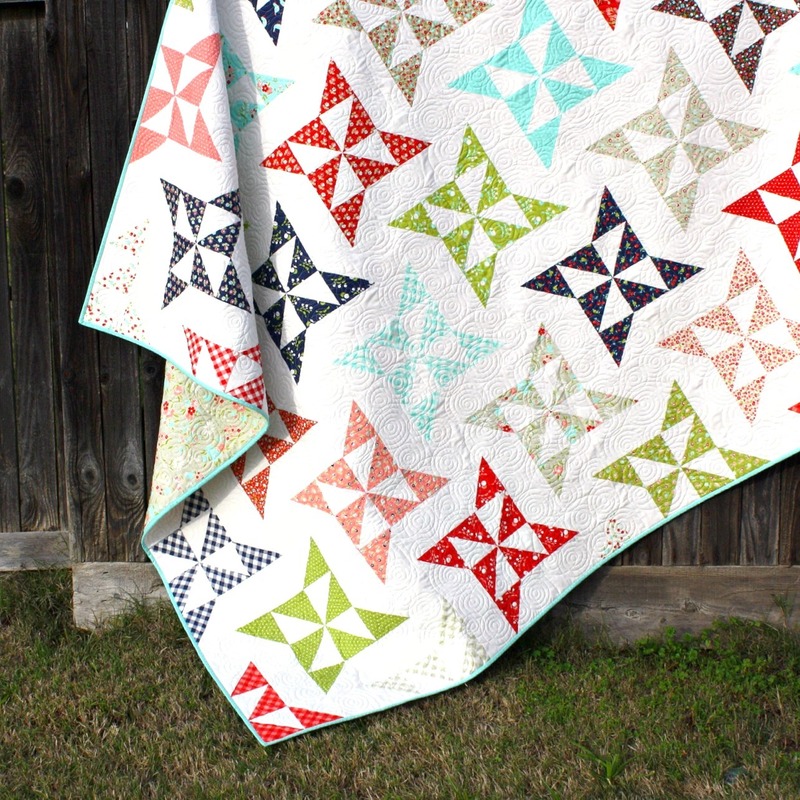 Emilee Hathaway did the quilting on this one with these adorable little rainbows. 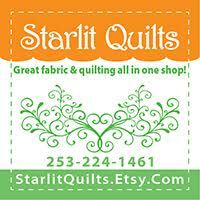 It's one of my favorite quilting motifs! 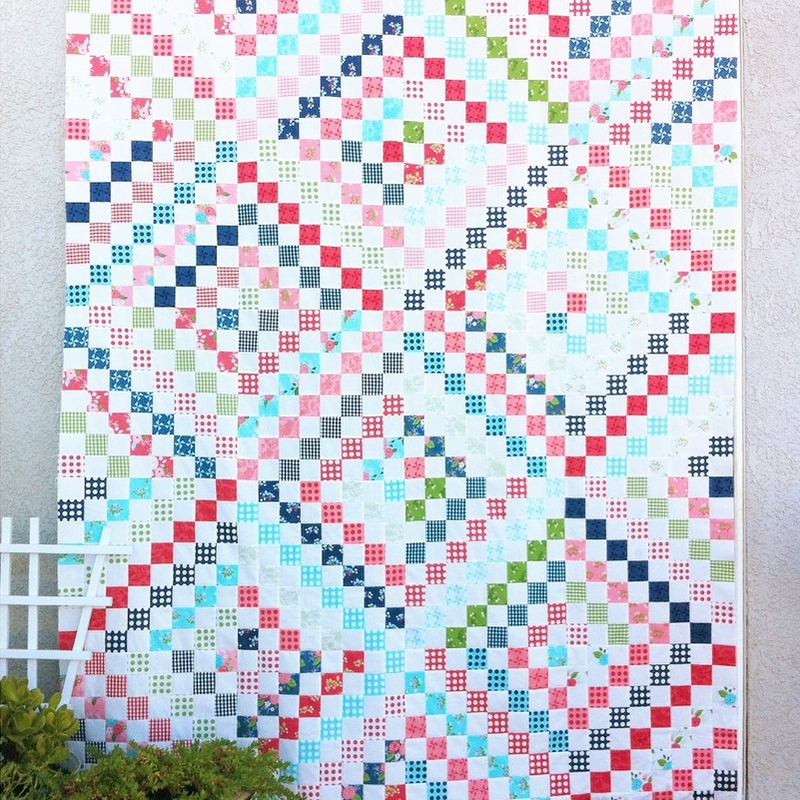 The pattern uses fat eighths, and includes full instructions for a larger throw quilt as well, if you don't want to make it baby size. 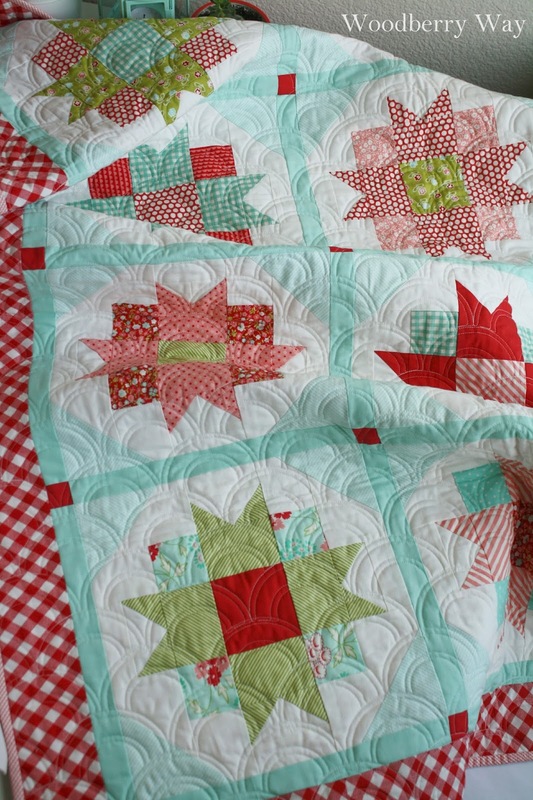 I want to make the bigger size in Christmas fabric some day. My favorite part about this quilt is the sorting of colors into piles for each block after you cut the pieces out. 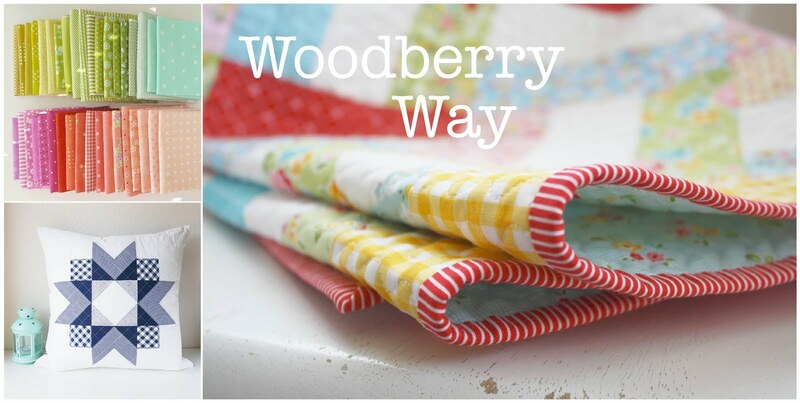 Don't you just love sorting pretty fabric? 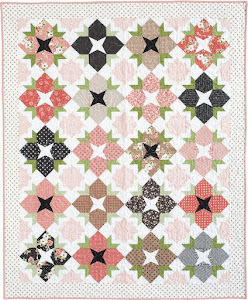 I used a mix of fabric from lots of different Bonnie and Camille lines for the entire quilt, including the border, binding, and backing. 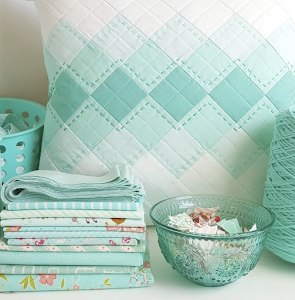 The solid blue is Moda Bella aqua, and the lighter blue in the corners is the tiny aqua scallop from their Little Ruby line. 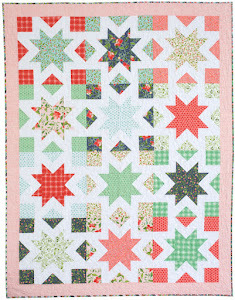 Allison, I always adore the quilts you make and the fabrics you choose. 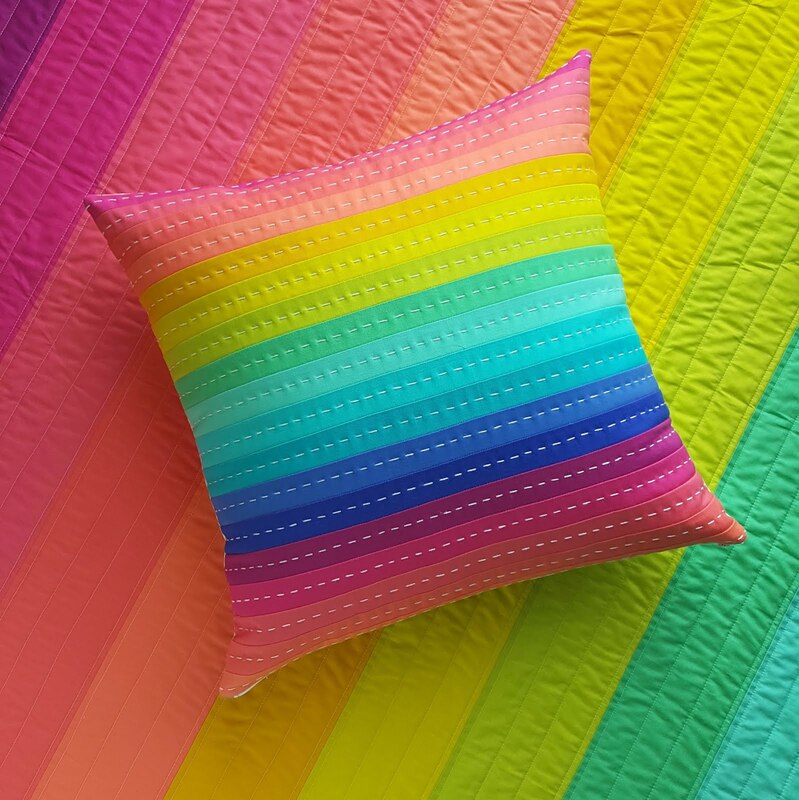 This rainbow quilting pattern is wonderful! Does she use a pantograph? 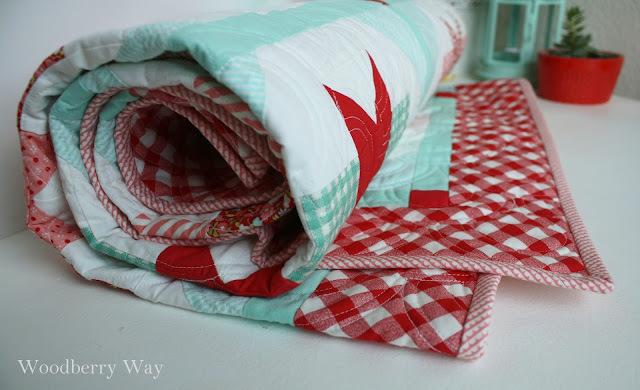 Or FMQ? 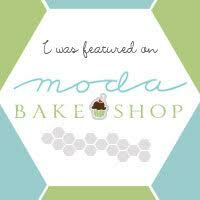 I would love to learn how to do this! Thank you Janice! I believe it's a pantograph on longarm, isn't it fun? It's very pretty! 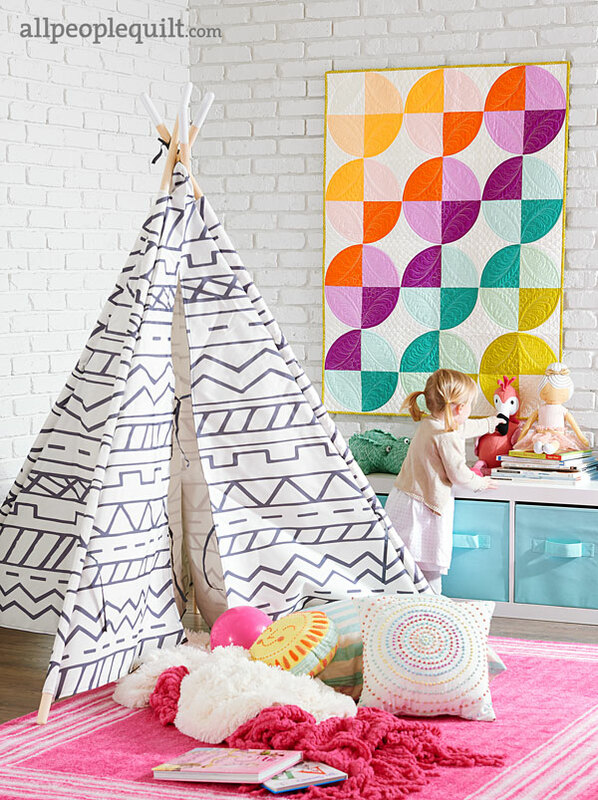 You sure bring the pattern to life! Thanks for sharing this pattern. This is so so pretty, Allison! 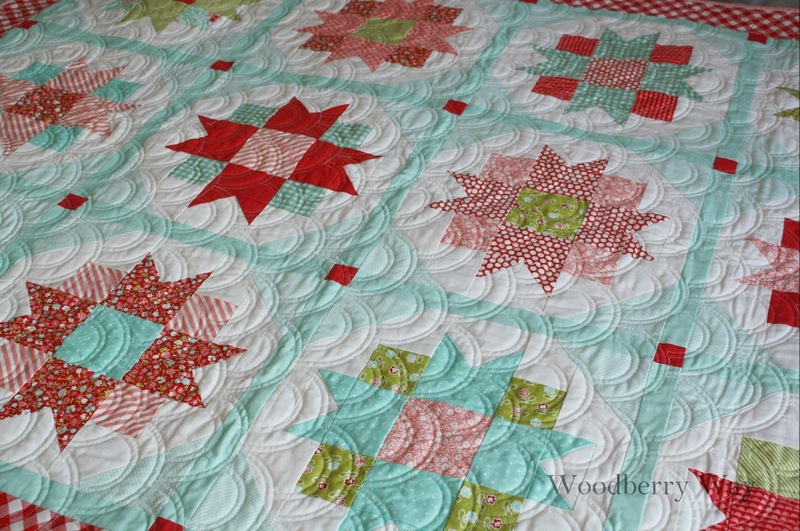 The aqua's really help to show off those beautiful blocks and perfect border! Love this!